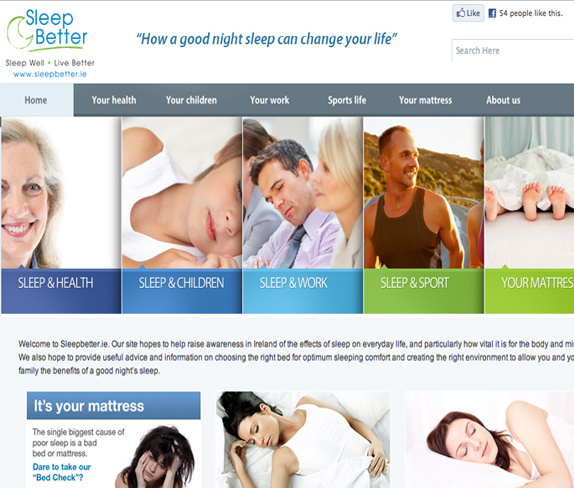 SleepBetter.ie is a micro-site for Harvey Norman targeting the bedding market in Ireland through providing key information regarding sleep and bedding related matters. 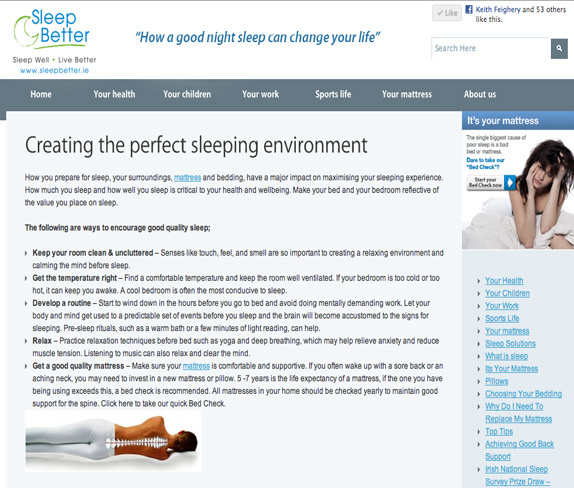 Project objectives: Harvey Norman required a microsite built that conveyed the importance of sleep in people’s lives in order to promote their bedding and matresses products. Digital Insights designed and developed a fully customised wordpress site for Harvey Norman which took 6 weeks in total implementation time from inception, design, development, test and go live. 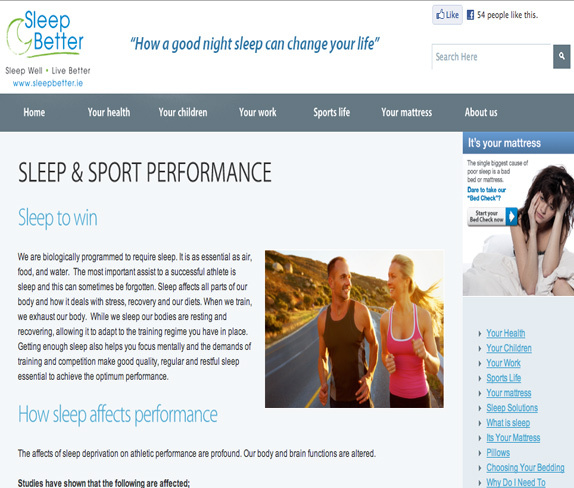 The site has been a huge success, and has formed the basis of Harvey Normans advertising campaign for the promotion of their beds and matresses products across Ireland, with many national digital and offline campaigns using the main call to action as Visit the Sleepbetter.ie website for more information.